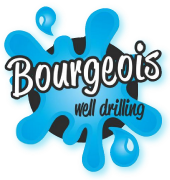 At Bourgeois Well Drilling, we specialize in drilling wells in the North Stormont region. We are your best choice for well services in eastern Ontario, including drilling, cleaning, piling and geothermal services. Our emergency service is available at any time. The individuals, engineers and farmers who use our services often recommend us to others. We provide superior-quality services to the residential, industrial and municipal sectors, and with more than 50 years of experience in the field, your satisfaction is guaranteed.